I went to the MGM Sports Book before the show. I had a question. An important one. "What is the largest sum of money I can bet on Phish winning the show tonight?" The attendant's raised eyebrows hinted that I was onto something, perhaps, that the other patrons knew not, "Sir, we don't bet on Cirque du Soleil here - that's only legal inside the confines of Circus Circus." I'll play your game, you rogue, thought your author, and off to Circus Circus I went, fistfuls of cash at the ready. This was a sure bet. I just knew it. 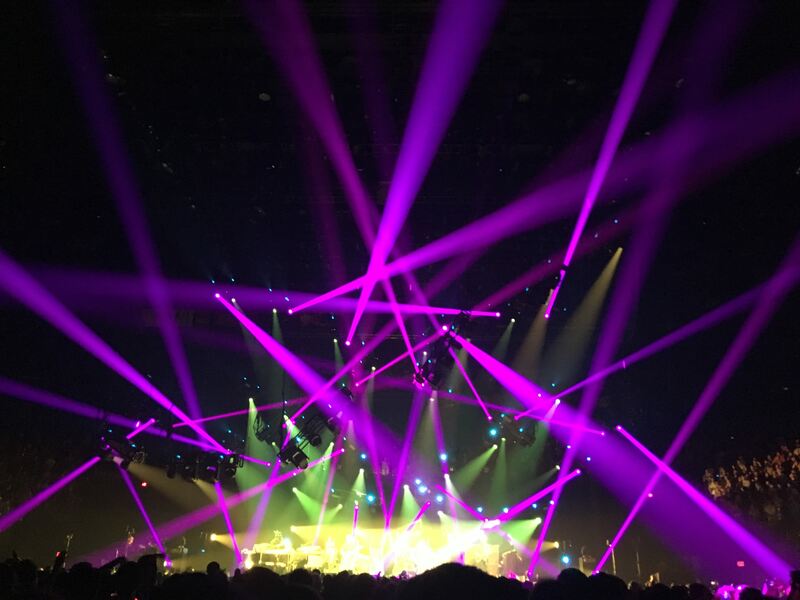 This is what seperates Phish fans from the more "amateur" gambler: we know that we are always playing with house money; we know the odds are always weighted in our favor, after all, Phish remains undefeated since 1983.